Boxer Pedro Sosa was scheduled to start his professional boxing career Monday. Instead, he's in the fight of his life. He is in a coma after a car accident killed his sister and threw him from an overpass on the Cross Bronx Expressway. The Sosas were among 10 people packed into a Chevy Venture traveling east on the Cross Bronx Expressway about 5:45 a.m. Sunday as temperatures hovered near freezing and road surfaces turned treacherous. An accident in the west-bound lane caused some drivers to hit their brakes to rubberneck, prompting a wild pile up, with cars spinning around on the black ice. "It was like tops," one police source said. Both Pedro and Jeneffer got out of their car and walked ahead to check on the other cars when they were slammed into by another motorist. 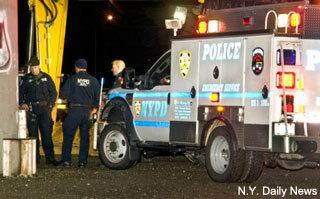 The collision caused both of them both to fly off the overpass and fall 75 feet. 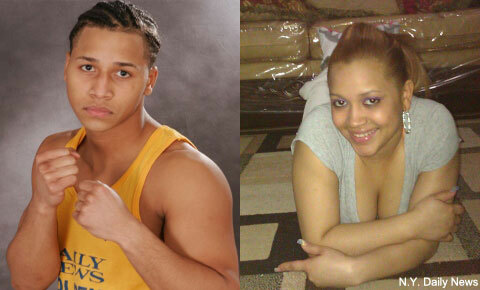 The 20-year-old Sosa, the 2011 National Golden Gloves champ, was rushed to the Jacobi Medical Center in the Bronx. Monday morning he underwent surgery to stop bleeding in his brain. "All we know is that he's in the toughest fight of his life right now. We're not really thinking of his boxing career. We're just thinking of him. He's a fighter. Hopefully he'll be able to pull through. He's strong," said Steven Martinez, a close friend who grew up with the boxer. Pedro Sosa Sr. told the Daily News that he's looking for answers about the tragic accident. These last two days must be a horrendous flashback for the Sosa family, to when Pedro Sosa Jr.'s older brother Andy was murdered in August of 2000. "I take my brother into the ring with me — every time," Sosa told Ring Magazine last December. "I have a lot of anger about what happened to my brother," he said, but is quick to clarify, "I'm not an angry person. It's just something that's inside of me and in my control. I let it out when I want to, which is only in the ring."